The nine books illustrated below are all available from Amazon as e-books or paperbacks. You can find them by putting my name (Hertha James) into the Amazon search engine and ‘Look Inside’ each one. Book Depository (free postage) also has paperback copies. The books include links to free YouTube clips. 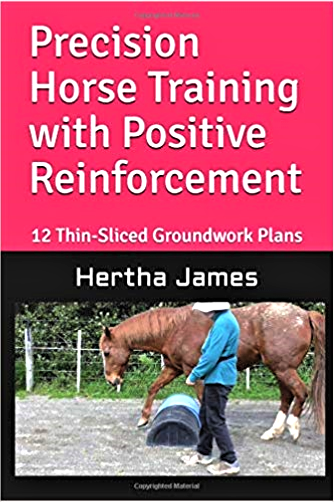 The books contain many thin-sliced training plans that you can customize to suit your horse and your environment.